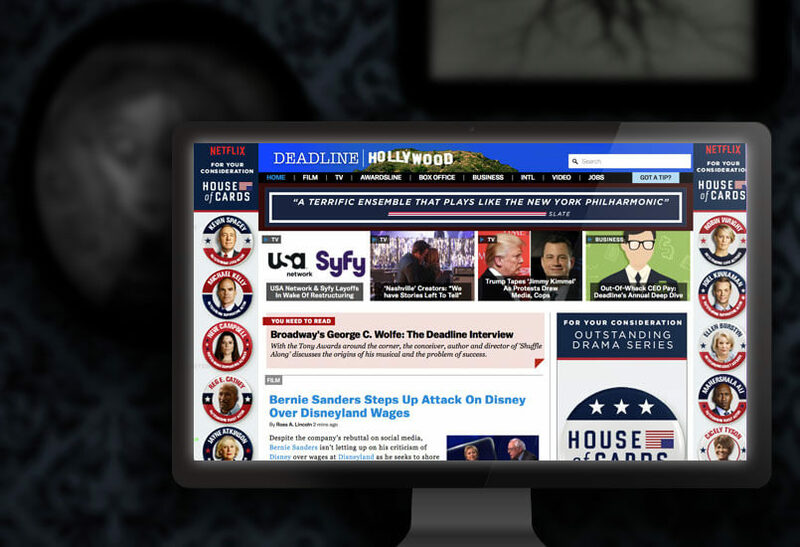 At Refinery, I have been involved in the digital advertising process for a number of digital ad campaigns including Netflix’s HOUSE OF CARDS. As a freelance web developer I was pulled in to supplement the company’s in house interactive team to build out a number of HTML5 animated banner ads for a wide variety of web placements including site takeovers and roadblocked “synchronized” animations. A demo can be viewed here.